Escondido last week entered the national dialogue over immigrant rights and Donald Trump’s big, bad border wall, but in an unexpected, and counterfactual way. U.S. Attorney General Jeff Sessions highlighted Escondido to illustrate how jurisdictions that limit cooperation with immigration authorities jeopardize public safety. The only problem was Sessions got everything wrong. Speaking at a news conference last weekend along a border fence with Mexico, Sessions offered no evidence that ‘sanctuary jurisdictions’ or immigrants are responsible. And he failed to mention that the federal government has held up Escondido as a model for cooperation with immigration authorities. Here’s what Sessions said along with the Associated Press fact-check. THE FACTS: Since May 2010, the city has had an extraordinarily close relationship with U.S. Immigration and Customs Enforcement, giving ICE officers desk space at police headquarters and working in tandem with them on everything from traffic stops to gang sweeps to remove people who have been previously deported and have criminal records. Critics say the unusual relationship has unnerved immigrants but supporters say it has improved public safety in the city of 150,000. In 2012, ICE bestowed Escondido with a “Partnerships for Public Safety” award. The city was rocked by the fatal shooting of a 55-year-old woman who was driving home from church March 7 when she was struck by bullets that police say was intended for a rival gang member, but both suspects are U.S. citizens. Some officials have said gang violence has increased but haven’t linked it to immigrants. An Escondido police detective told The San Diego Union-Tribune that he suspects an increase in guns found on gang members arises from changes in state laws, including efforts to reduce the prison population. When asked about Sessions’ statement that sanctuary jurisdictions have put gang members on Escondido’s streets, Carter said, “I just don’t know what that is about at all.” The police chief said he planned to ask the Justice Department to clarify the attorney general’s remarks. This was all part of Trump Administration Border Tour 2017 as Sessions started at El Paso along with Secretary of Homeland Security John Kelly and Sen. Ron Johnson, R-Wisconsin. Kelly continued with the Trump myth that the federal government will strengthen enforcement along the border. 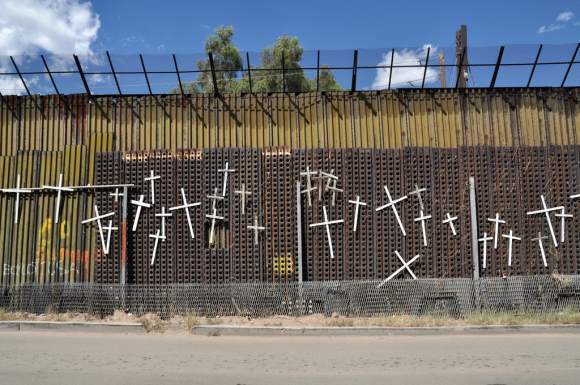 The tour of the border area began Thursday at El Paso, where community leaders objected to Sessions’ remarks in which he called the border a”beachhead,” which implies hostile territory, and as “ground zero” against cartels and transnational gangs, the El Paso Times reported. “This language causes incredible harm to our community. That language and that attitude and that rhetoric is un-American,” El Paso County Judge Veronica Escobar said as reported by the newspaper. The Justice Department sent a letter to a number of cities and states — including California — that demands they provide legal justification for non-cooperation by June 30 or risk the loss of federal funding. A federal judge, however, ruled last week that the Trump Administration could not withhold funding to sanctuary cities. 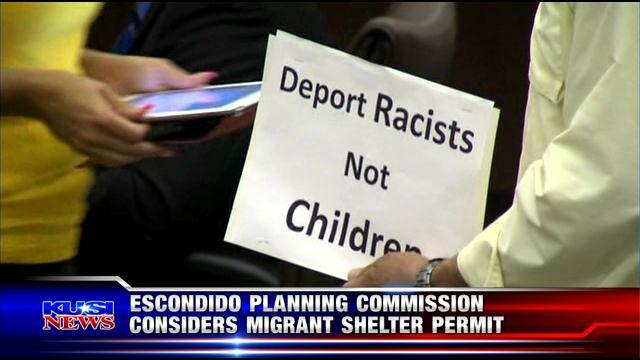 While Escondido isn’t a sanctuary city per se, it is covered by California’s blanket sanctuary status for all cities. 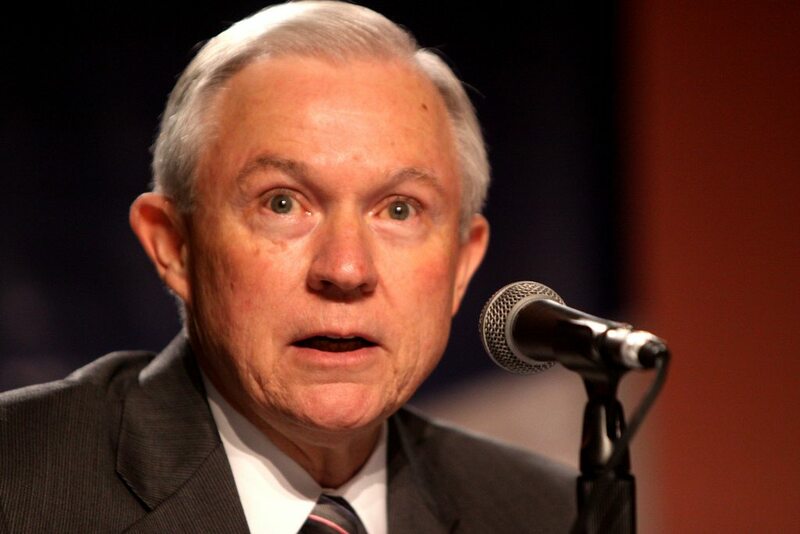 Speaking at the San Diego border, Sessions talked a lot about the connection between violent street gangs and the “lax immigration policies” that allow some people to remain in the country, even when they could be deported. He made that explicit, and wrong, assertion that Escondido, was in the midst of an increase in street gang violence, even though Escondido has not designated itself a sanctuary city. “As you know too well here, Escondido’s gang violence has jumped recently between two rival gangs warring for turf,” Sessions said, referencing the March 7 killing of Cathleen Kennedy. Prosecutors said Kennedy was shot by bullets intended for a rival gang member. “His warped and delusional views on immigration just don’t match the reality that our community is filled with hard-working, law-abiding patriots who reject this administration’s divisive agenda,” Gonzalez Fletcher said. The assemblywoman has authored legislation that would make the state divest from companies that assist in building a wall along the border. « Airport Noise: Is There a Solution? Since there’s no place to comment on the often-wonderful daily videos, I’m gonna just do it here. I’m not a late-night TV watcher so I’ve never been a Kimmel fan. but this makes me really like him. He’s a mensch. Be sure to watch this to the end for the political/social commentary.